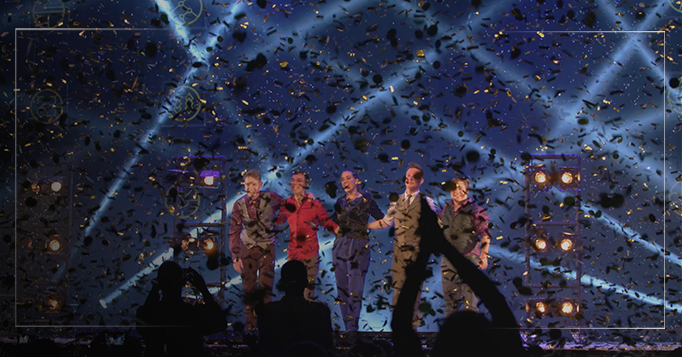 Champions of Magic is a touring stage spectacular featuring a number of the best magicians working today. Mind-Reader Alex McAleer, close up illusionist Kayla Drescher, Vegas illustionists Young and Strange and daredevil Fernando Velasco have been entertaining audiences UK-wide and are now taking the show back to the US for another tour. We filmed the first UK arena show in Brighton and then a theatre show in Aylesbury to gather a wide range of footage which could be used to make trailers for the show including two different TV spots for broadcast in the US. Alongside the general show coverage, we also shot special coverage on select tricks to go into the trailers as we could get up close to the action in a way we couldn’t during the live shows.